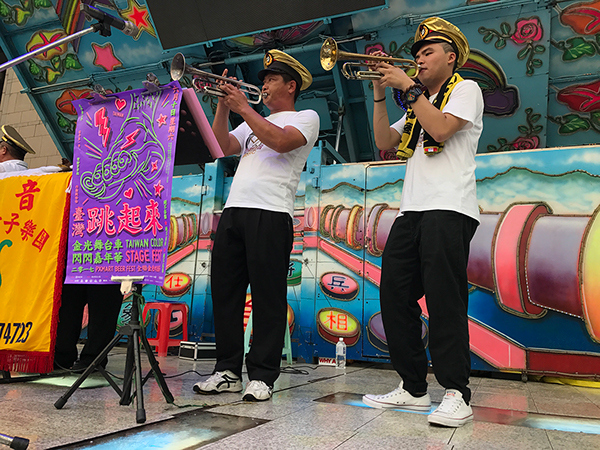 Taiwan Indie Rock band The White Eyes performed live in the festival. 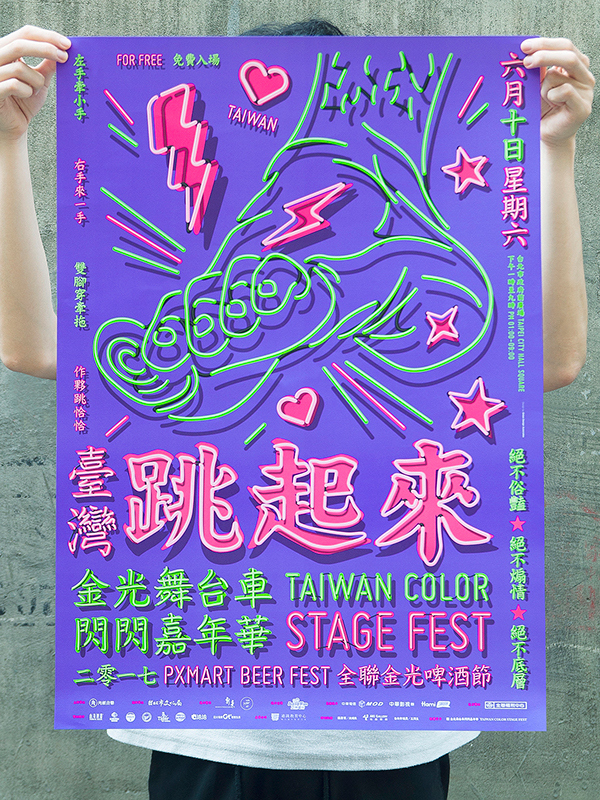 Photo courtesy of Taiwan Colors Music. 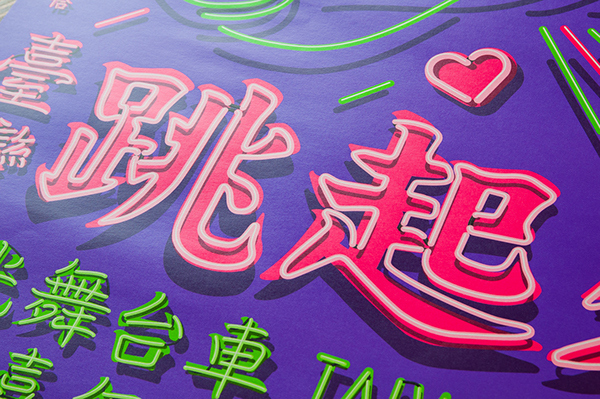 Photos courtesy of Taiwan Colors Music. 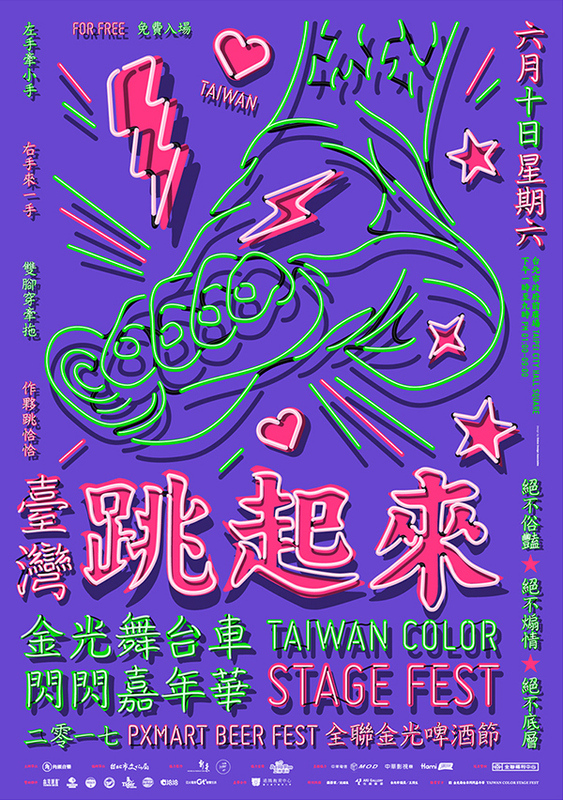 Curated by Taiwan Indie Muisc Label, Taiwan Colors Music, The Festival celebrates a unique Taiwanese subculture of Stage Cars, aka Taiwanese Electric Flower Cars. 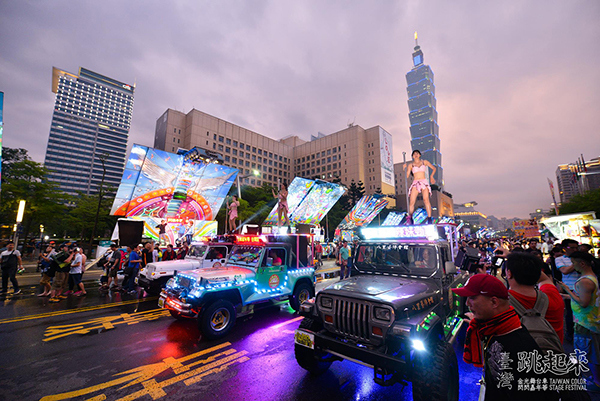 They are trucks that have been converted into wheeled, neon-lit platforms, typically moving stages, upon which pole dancers and singers can perform in religious, celebratory or wedding banquets. 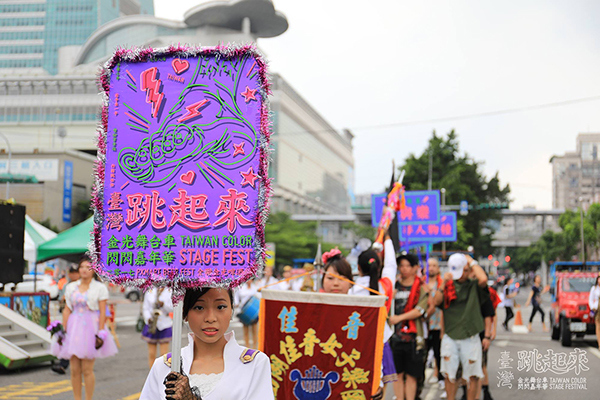 The festival features 30 Stage Trucks/ 30 Dancing Poles/Stage Truck Singers/ Religious Marching Bands and Famous Taiwanese Indie Bands and DJs. 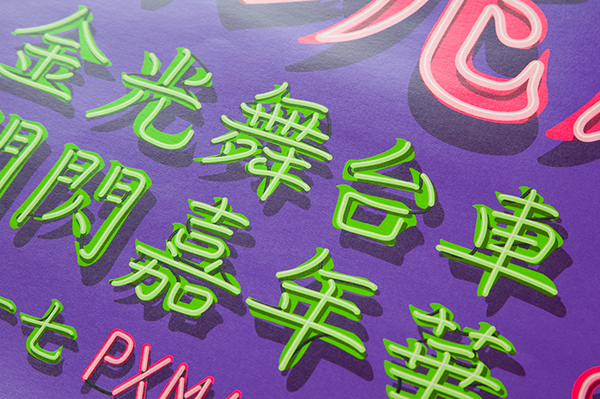 All the typography in the poster imitates neon-signs of the stage cars. 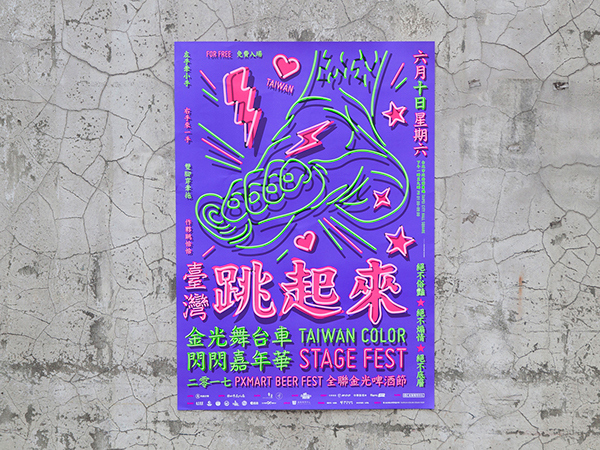 The Poster is also printed with 4 Fluorescent inks to pay tribute to the colorful local Taiwan subculture. 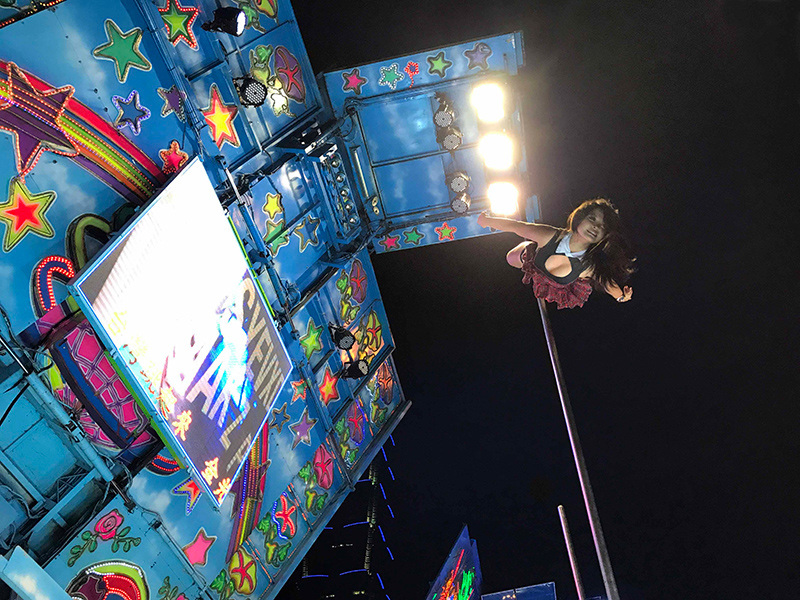 The Foot symbol in the poster is a reference to the slogan “Let’s jump! 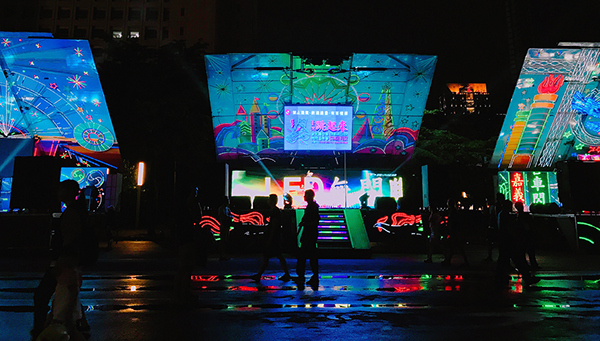 Taiwan”. 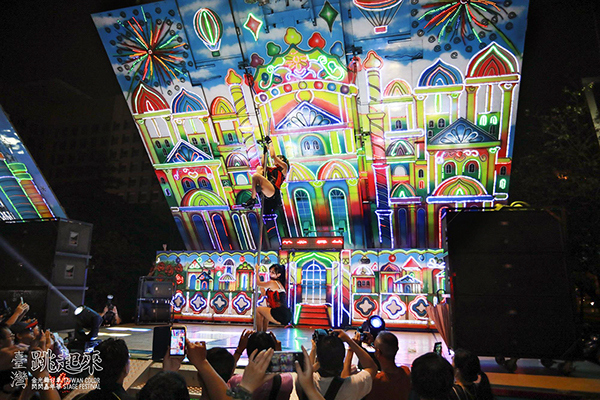 For more Stage cars images, Visit: Artist Shen Chao-Liang.